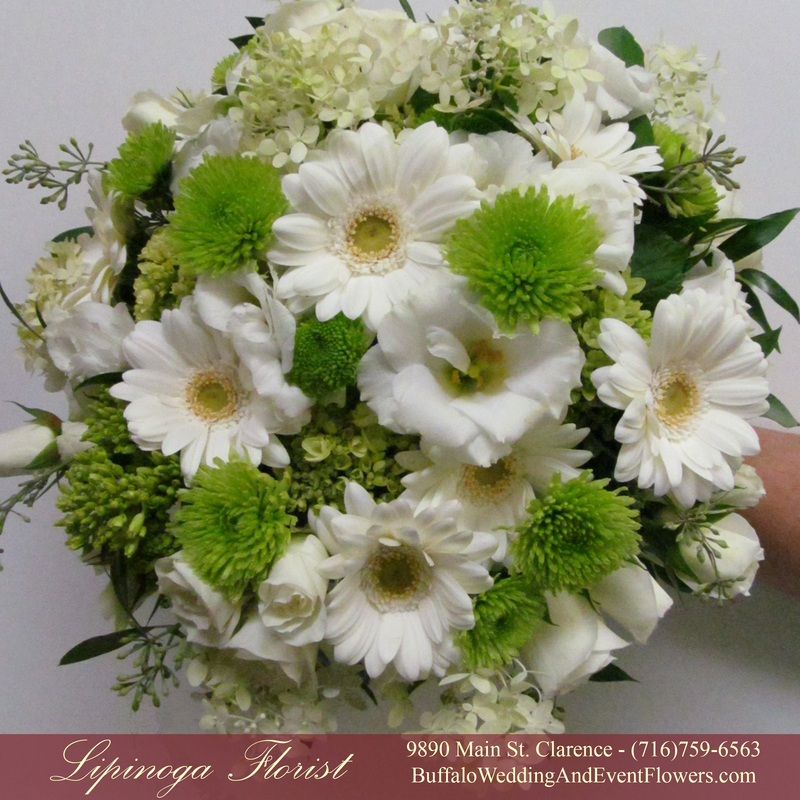 The specially handcrafted bridal bouquet, included a beautiful combination of white and green blossoms including hydrangea, mums, lisianthus and gerbera daisies. 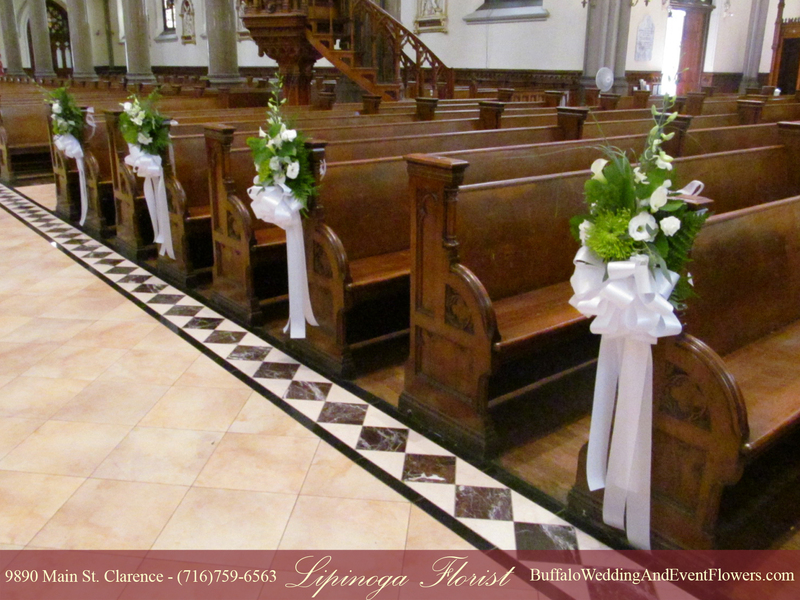 Elegant Arrangements of Green and White Flowers graced the pews at St. Louis Roman Catholic Church in Downtown Buffalo, where the wedding ceremony was held. 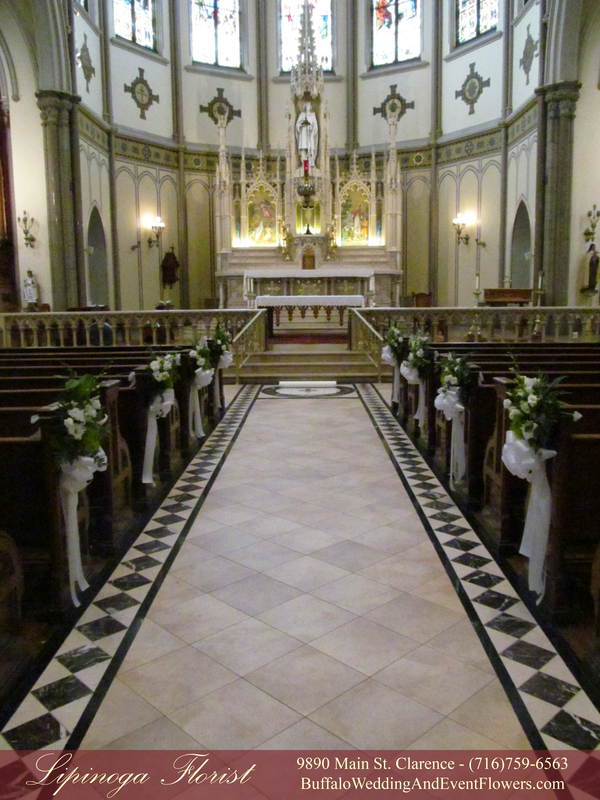 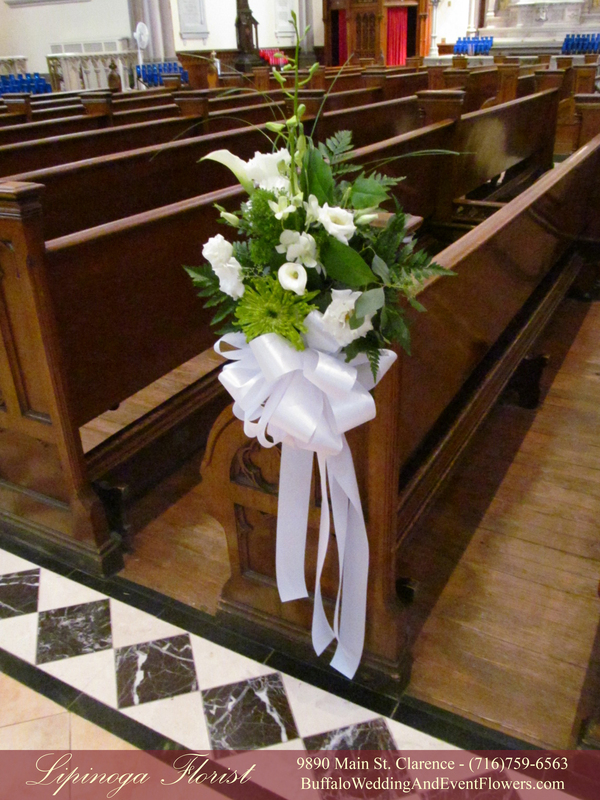 Each pew arrangement included a large white pew bow with trailing white ribbons to create a very bridal aisle. 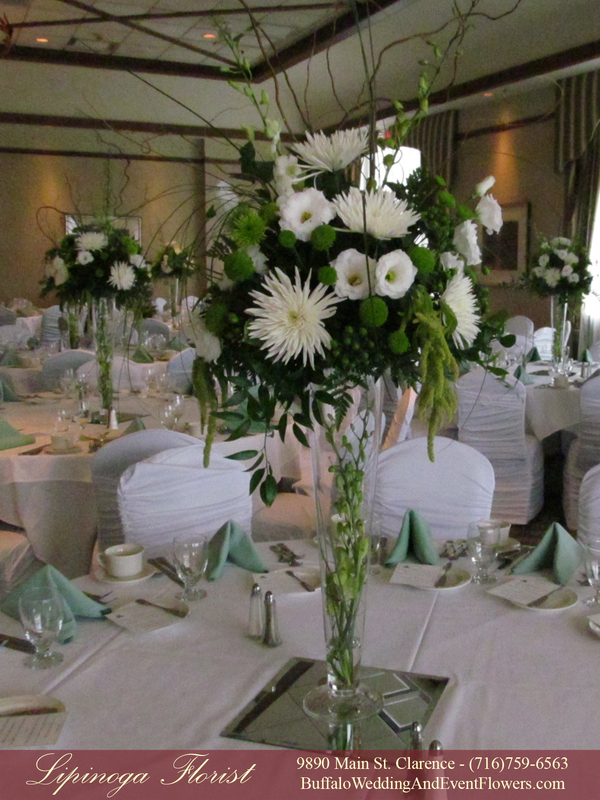 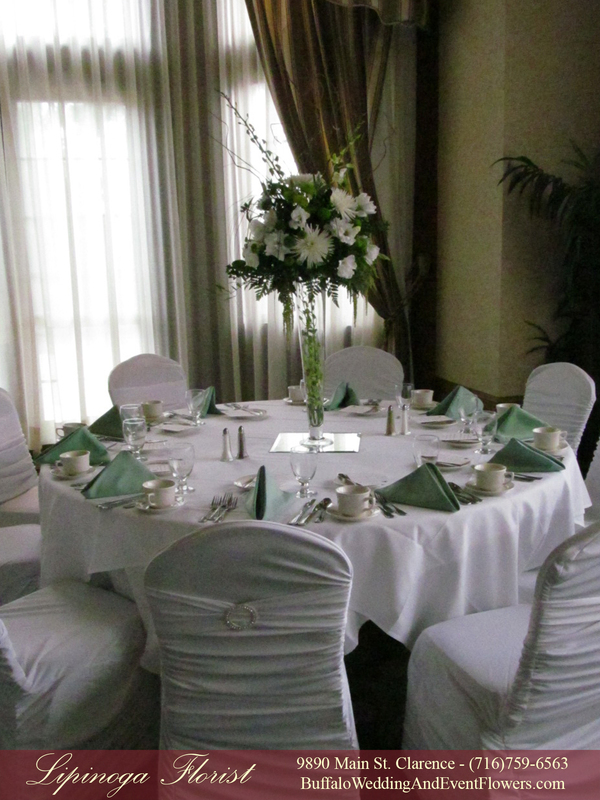 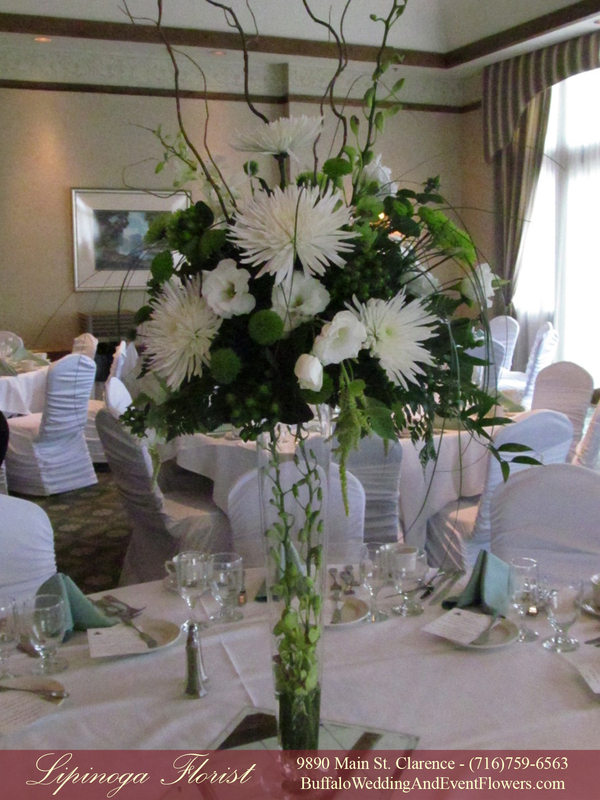 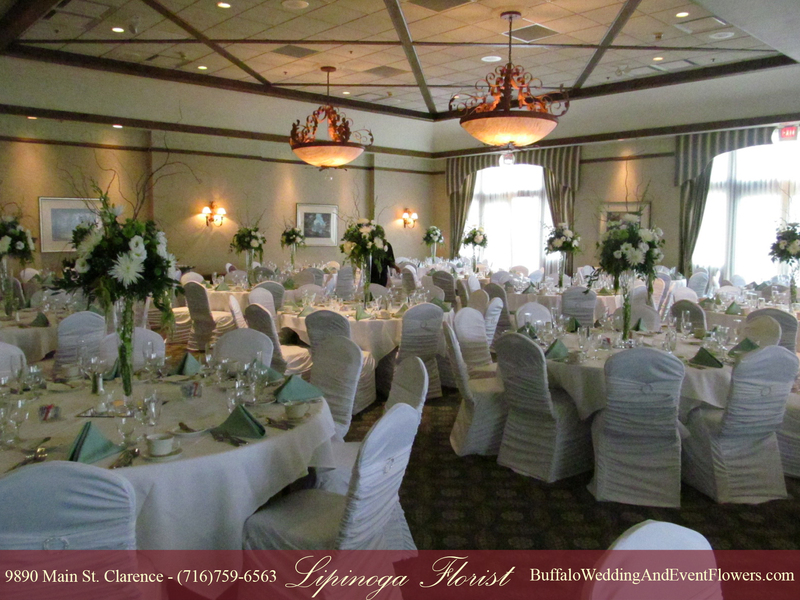 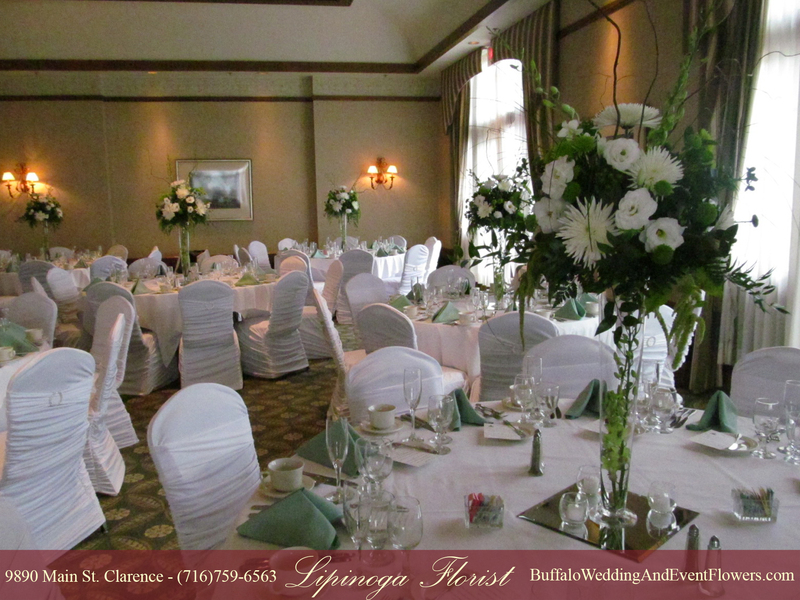 Westwood Country Club in Amherst, NY was full of elegant white and green blossoms arranged upon tall glass vases. 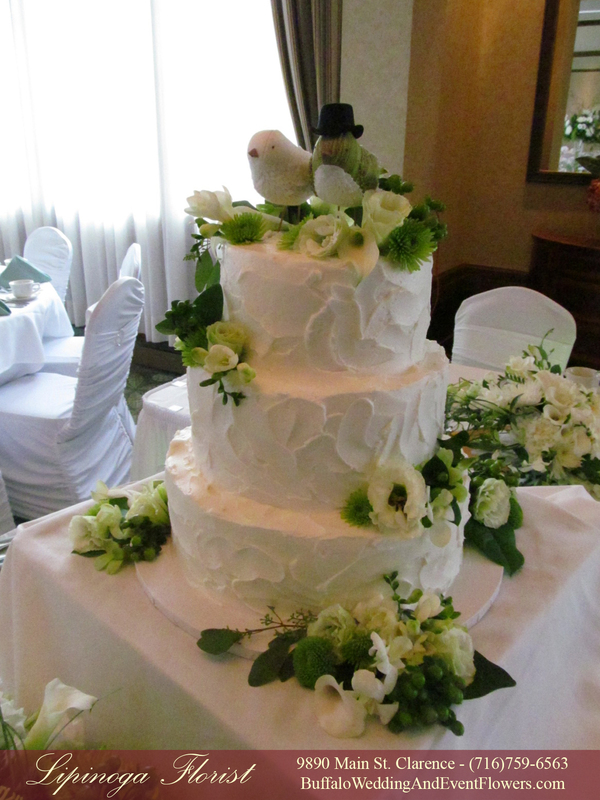 A simply frosted white cake dazzled once adorned with gorgeous blossoms to complement the centerpieces. 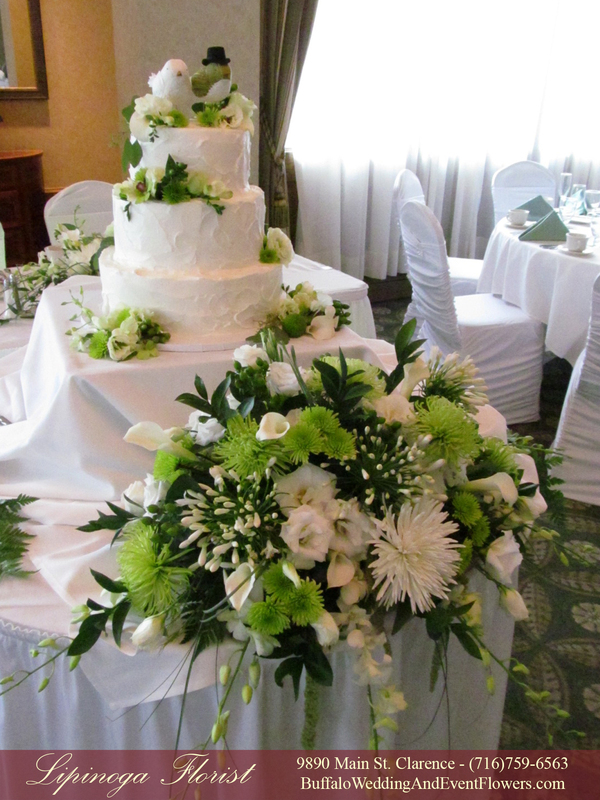 A long and low style arrangement graced the bottom of the cake table facing the dining tables in the wedding reception space. 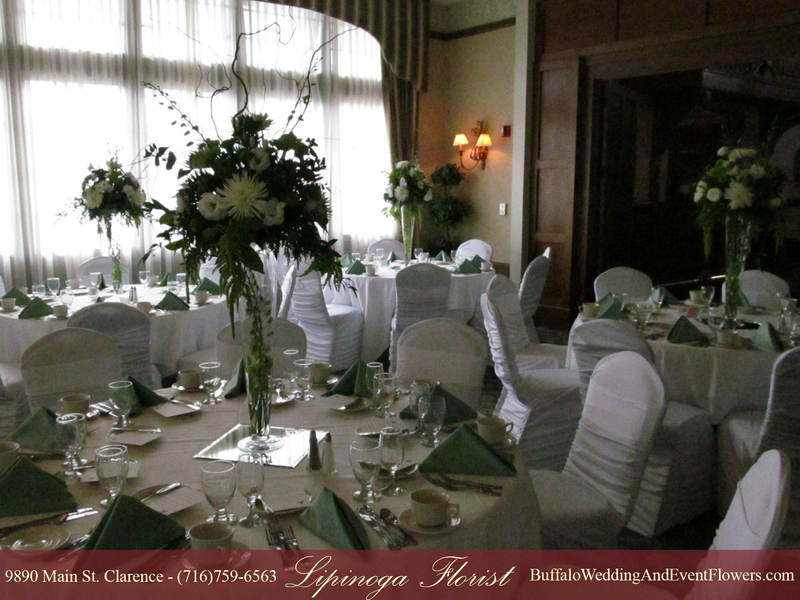 Berries, Trailing greenery and protruding branches added character and dimension to the centerpieces. 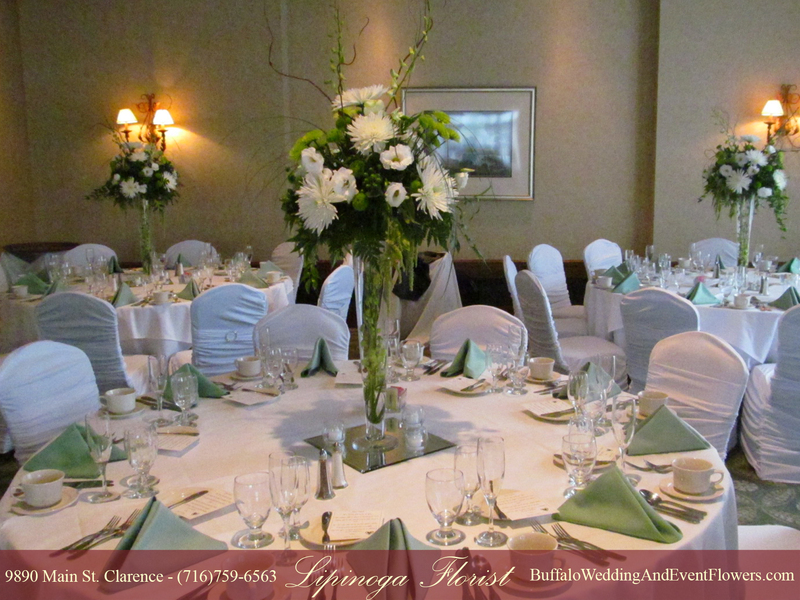 An assortment of flowers including mums, lisianthus and orchids rested upon a tall pilsner vase with orchids inside of the vase.